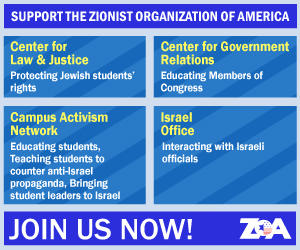 The Zionist Organization of America (ZOA) strongly praises the Resolution introduced in the US House of Representatives by Representative Lee Zeldin (R-NY), Co-Chair of the House Republican Israel Caucus, joined by Representatives Ted Budd (R-NC) and Elise Stefanik (R-NY), rejecting anti-Israel and anti-Semitic hatred in the United States and around the world, unfortunately including anti-Semitism by some members of Congress. This resolution is timed to be considered as the world prepares to observe International Holocaust Remembrance Day (January 27, 2019) and should pass the House with a massive bi-partisan majority. Only last week, the House voted in a bi-partisan way to reject White Supremacy, and this Resolution must be passed in the same way to make the moral position of the House absolutely clear. ZOA National President Morton Klein said: “This is a very important House Resolution. In particular, the inclusion of the indefensible quotes by the two Congresswomen is needed for the House to maintain its moral balance. 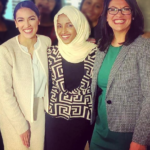 ZOA has forcefully condemned the free pass given so far to these Congresswomen (see https://zoa.org/2019/01/10386532-zoa-why-are-democrats-not-condemning-anti-israel-reps-tlaib-omar-ocasio-cortez/). The anti-Semitism of Louis Farrakhan is well known, but members of Congress continue to meet with him without consequences. It is time to state the truth about these two Congresswomen. They are anti-Israel and anti-Jewish extremists. Congress itself will be morally stained if they do not collectively act. This is why the Resolution of Rep. Zeldin, Budd, and Stefanik is so important. 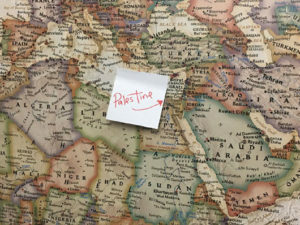 “On her first day in office, Rep. Tlaib posted a “correction” to the world map in her congressional office, marking Israel as ‘Palestine.’ The Congresswomen effectively indicated her support for the Palestinian Arab objective of eliminating the Jewish state of Israel. In August last year, she told Haaretz, ‘It has to be one state. Separate but equal does not work. I’m only 42-years old, but my teachers were of that generation that marched with Martin Luther King. This whole idea of a two-state solution – it doesn’t work.’ In other words, there is no room for an independent Jewish state, only one dominated by Arabs. Martin Luther King, meanwhile, was a principled and unambiguous supporter of Zionism and Israel. For her to associate Dr. King’s name with her illiberal and vicious anti-Semitic political views is an utter disgrace. In that same interview with Haaretz, Tlaib called Israel a ‘racist country’ on the basis of the lie that Israel discriminates against those who are ‘darker skinned.’ She has also stated that Israel does not observe human rights and does not deserve US aid. She covertly supports BDS, the racist idea that Israel is uniquely evil and must be boycotted until it disappears from the world map. Only last week, Rep. Tlaib met with a fellow extremist seeking Israel’s destruction, Abbas Hamideh, founder of Al-Awda – The Palestine Right of Return Coalition, who also openly calls for Israel’s destruction, calls the Jewish state ‘the illegal terrorist entity of Israel,’ routinely refers to ‘Criminal Zionism’ and attacks Muslim moderates. Rep. Tlaib also identifies with Mahmoud Abbas’ Palestinian Authority, a hostile, anti-American regime that has named schools and streets after terrorists and has provided stipends to the families of deceased terrorists in proportion to the amount of Jewish blood they have shed. PA-controlled media, mosques, schools, and camps are suffused with the glorification of terrorism and incitement to hatred and murder as children are educated to aspire to murdering Jews as a national and religious duty. PA terrorism, meanwhile, has claimed the lives of US citizens. ZOA strongly urges the House of Representatives to pass this resolution.